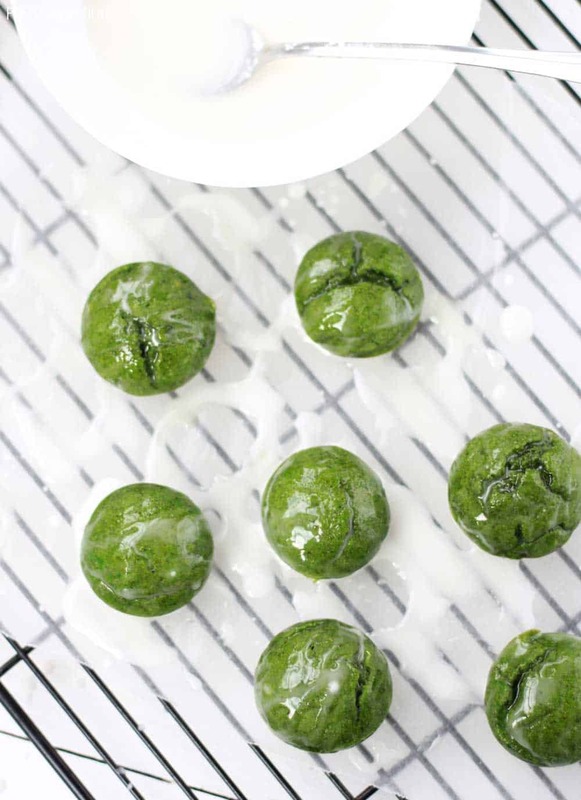 These spinach banana muffins are delicious and full of healthy ingredients! 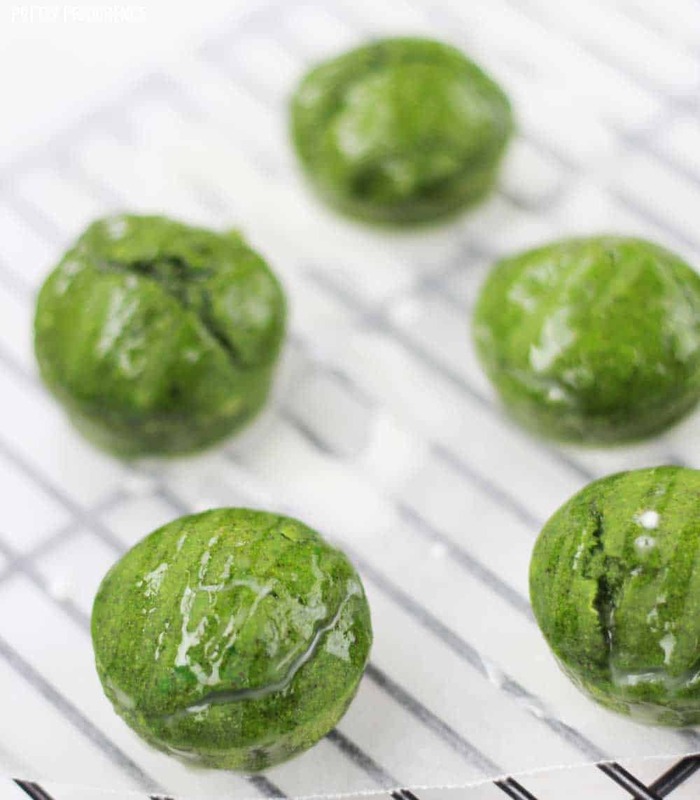 They are a fun green snack idea for St. Patrick’s Day or Christmas. 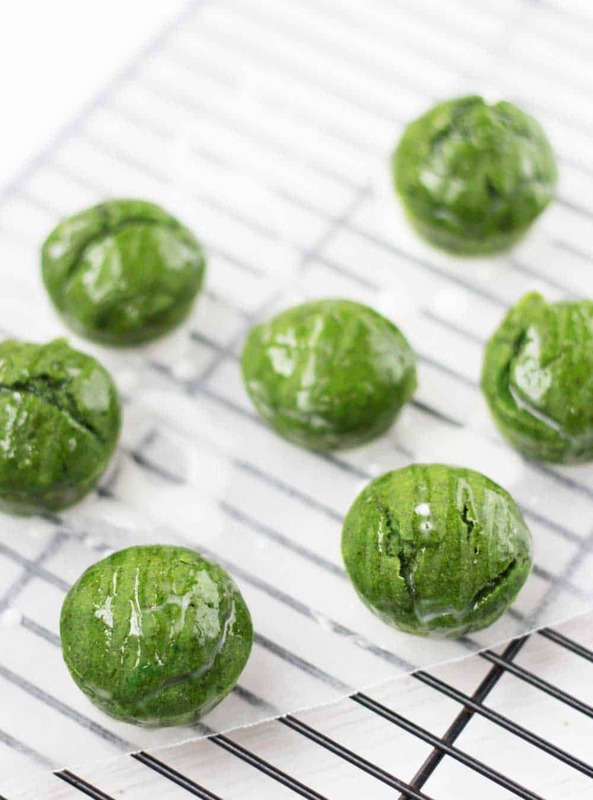 These are a fun, healthy green food idea for St. Patrick’s Day or Christmas too. I love when being festive is so easy. I topped the muffins with a simple glaze, but that is totally optional. If you’re eating clean, these muffins sans-glaze totally fit the bill! But if you are into glaze… I recommend it. A little bit goes a long way! 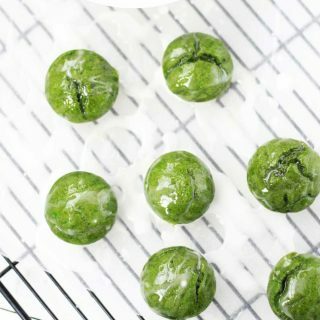 My family loves these green spinach banana muffins! They're packed with healthy ingredients! Also called monster muffins or hulk muffins - these green muffins are a great on-the-go breakfast! While muffins are cooling, mix 1 cup powdered sugar with 1/4 cup milk. Whisk until smooth. Add more powdered sugar as needed until it's the right thickness and consistency for a glaze.